We would like to extend a cordial invitation to you and your family to attend Shiloh Baptist Church. There are Sunday School classes for any age group, including adults young in their faith and adults mature in their faith. There is an evening worship service on Sunday for those not able to attend Sunday morning service. There are many activities for you and your family to enjoy with us. Shiloh Baptist Church is a safe place in troubled times. We would love to meet you and your family. May God bless you! 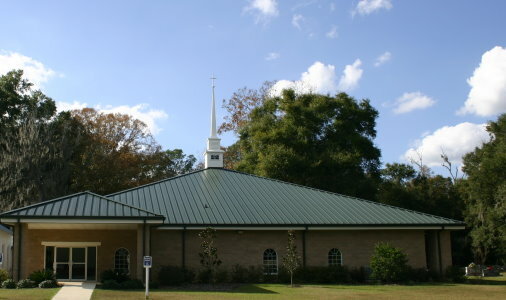 Thank you for visiting the website for Shiloh Baptist Church in Fort White, Florida. It is our hope that you will find everything you want to know. If not, call us at (386) 454-4978 Monday through Friday from 8:00 am - 5:00 pm EST, or leave an online message for our pastor, Earl Tuten, here. It is our conviction that God intends for everyone to have three kinds of homes. An eternal home in heaven that can be yours by faith in Jesus Christ. An earthly home, a place to lay your head, a place of family. A church home, a family of faith where we can serve one another and have others touch our lives in a personal way. 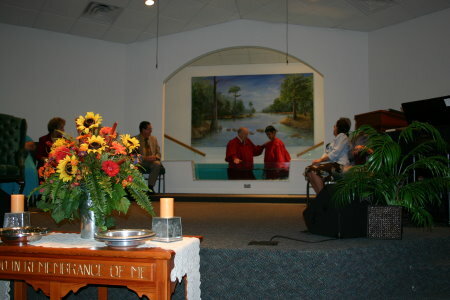 If you live in or around our community of Fort White, Florida, we would welcome you in this place. If you reached this site from elsewhere, we pray that you have a church home there where you live. May God bless you as you visit our website.